The antihero… just like the hero… except he can kill. Wait… heroes kill too now. In fact they always have. Well maybe it’s that the antihero swears… Actually, heroes swear now too. Is it that the antihero operates outside of the law? Nope, that’s true of heroes too. Well what is it then, and why does everyone love them so much? In a special live show from Mt. 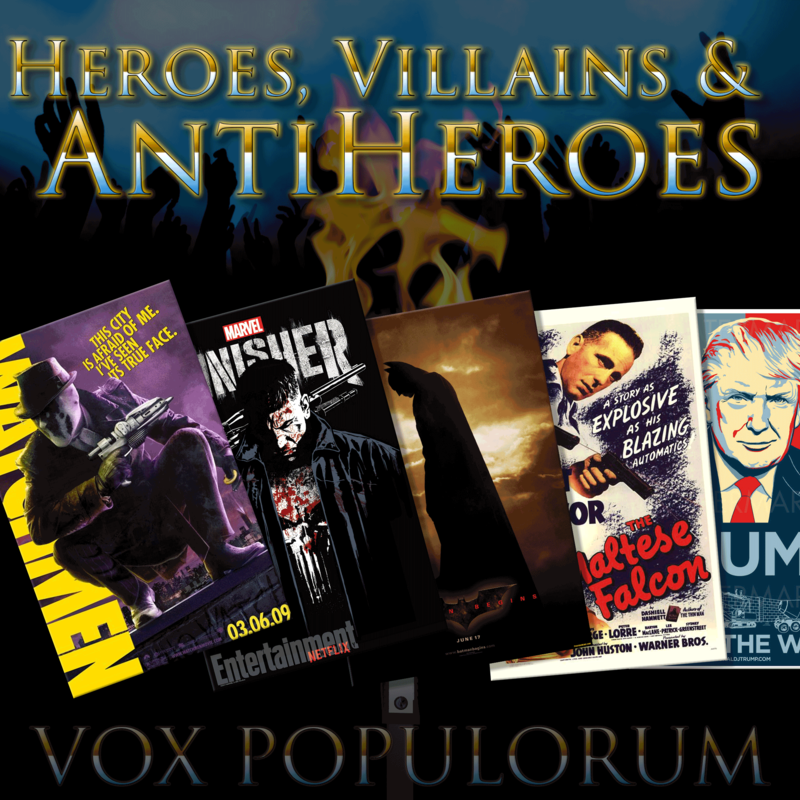 Aloysius College’s 2018 MAC Charity Con, Mav and Katya are joined by Danny Anderson of the Sectarian Review Podcast to discuss the nature of the antihero and the vigilante. What’s the difference? Do they exist in real life? Why do like them? And what do they say about us as a culture that we do? And yes, that is a picture of Trump in the thumbnail… we wonder if that makes sense or not. Listen to Danny Anderson’s Sectarian Review Podcast: https://www.sectarianreviewpodcast.com. Including the most recent episode, with Mav as guest. The difference is simple. When a hero kills someone, fans try to justify it or quibble about whether the person really died. When an anti-hero kills someone, fans just smile in glee. The “Fan Response Theory of Categorization” solves many of these difficult questions.